Multi award-winning French jazz composer to perform ’60 Years of Music and Movies’ for one night only with the Royal Philharmonic Orchestra on Tuesday 18th September. 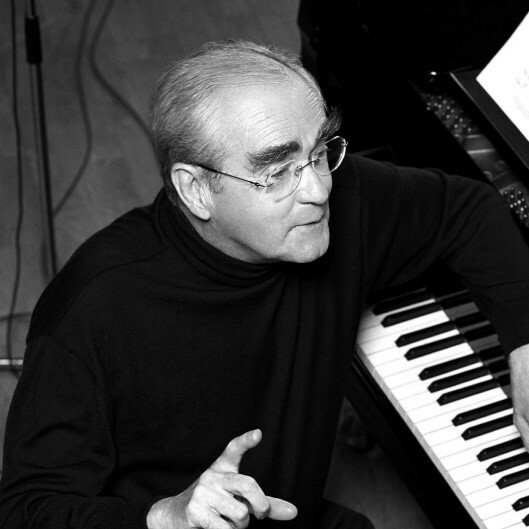 Ronnie Scott’s have announced that acclaimed French jazz composer and musician Michel Legrand will perform a special concert at the Royal Festival Hall in London. For the first time ever, the composer will perform his work with The Royal Philharmonic Orchestra, who will join Legrand onstage to perform music from his film scores, accompanied by live film clips and surprise guests throughout. In a career which has spanned over 60 years, Legrand’s jazz-influenced work has become synonymous with French New Wave cinema, having worked and scored films for directors such as Jacques Demy throughout the mid to late 20th century. The composer’s pioneering scores for The Umbrellas of Cherbourg and The Young Girls of Rochefort earned Legrand an Academy Award nomination, and his song Windmills of My Mind from The Thomas Crown Affair garnered Legrand his first Academy Award. Legrand’s work in jazz has been the inspiration for numerous up-and-coming jazz composers and musicians. Having collaborated with legendary musicians such as Miles Davis, John Coltrane, Bill Evans and Art Farmer in 1958, he released his seminal recording Legrand Jazz to great critical acclaim. Recordings with Sarah Vaughan and Lena Horne followed, as well as numerous others which established Legrand as a principal figure on the international jazz scene. “We’re really pleased that Ronnie Scott’s Concert Productions are presenting Michel Legrand with the Royal Philharmonic Orchestra at the Royal Festival Hall. This unique London performance follows on from his hugely successful residency at the club last year. We look forward to continuing our relationship with Michel and the Royal Festival Hall in the years to come”. Tickets are now on general sale on the Southbank Centre website. The event is presented by Ronnie Scott’s and Fane Productions, in association with City Lights Entertainment UK.